Greetings and welcome to my Web site. 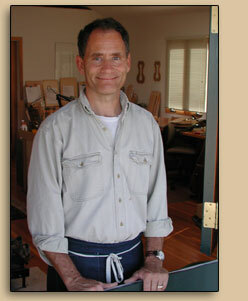 I’m Anthony Lane, a maker of violins, violas, and cellos. Here you can learn about my work, my clients and my background, and you’ll also find some general information on the craft and history of violin making. In Approach I talk about different aspects of my work, the craft of violin making, and how I understand what I do. Some of the topics covered are new making, varnish, and restoration. You’ll also have the opportunity to visit my shop and see some of my work in the Gallery. Please contact me to learn about currently available instruments. Commissions describes the process of having an instrument custom-built by me. The Clients list features some of the musicians who play my instruments, and Bio is where you can learn more about my personal and professional backround. FAQ answers some frequently asked questions. Enjoy your visit, and please don't hesitate to contact me. I look forward to your comments and questions.